Bone substitutes and bone allografts market report gives comprehensive outlook on bone substitutes and bone allografts across the countries such as Japan, Brazil, India, Australia & New Zealand, and China. The report on bone substitutes and bone allografts market gives historical, current, and future market sizes (US$ Mn) on the basis of product type and country. This report studies bone substitutes and bone allografts market dynamics elaborately to identify the current market trends & drivers, future opportunities and possible challenges to the key stakeholders operating in the market. In addition, bone substitutes and bone allografts market report includes regulatory scenario, and products analysis with vividly illustrated the product dashboard to assess the market competition. 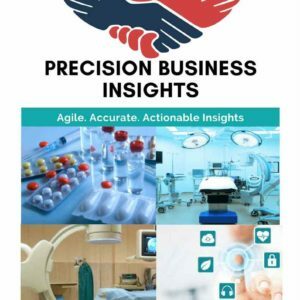 Moreover, PBI analyzed bone substitutes and bone allografts market to better equip clients with possible investment opportunities across the countries (Country Investment Hot-Spots) and market unmet needs (Product Opportunities). Key stakeholders of the bone substitutes and bone allografts market report include suppliers, manufacturers, marketers, policy makers, and healthcare service providers engaged in bone substitutes and bone allografts usage or advocacy. The Japan bone substitutes and bone allografts market estimated to be valued US$ 216.5 Mn in 2017 and poised to grow at significant CAGR over 2018-2024 due to surge in aging population, increase in prevalence of bones and joint fractures, and product launchings by the market players in the country. Increase in the prevalence of arthritis coupled with surge in number of geriatric population around the globe expected to fuel the market for bone substitutes and bone allografts over the forecast period. As per the World Health Organization (WHO), more than 2 Bn global population will be over the age of 60 by the year 2050. Rise in geriatric population in developed nation such as Japan, expected to drive the market over the forecast years. Bone graft substitutes play an important role in dental surgery/implantology in order to assure optimal management of the patient. Technological advancements in the bone substitutes and bone grafts surge the market over the forecast years. For instance, in June 2017, Bonesupport, a Swedish firm developed injectable bioceramic bone substitute products to treat bone voids caused by trauma, infection, disease or related surgery.